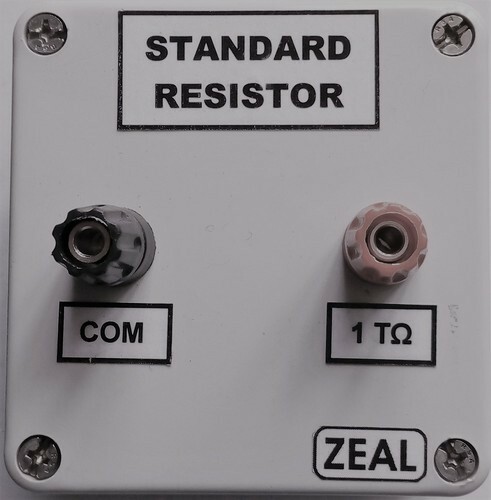 Our range of products include standard resistor, tera ohm standard resistor and dc shunt. Standard resistor is used for sensing AC /DC high current and to calibrate Micro Ohm Meter, Milli Ohm Meter etc. Excellent stability and tight tolerance are the crucial properties. They are provided with 4 wire measurement facility. Standard Resistor is designed to calibrate Insulation Resistance Tester, Giga/Tera Ohm meter, High Resistance Meter, Megger etc. Resistors are placed in ABS plastic house sealed so that moisture dust cannot enter and hamper the stability. All the resistors can handle test voltage up to 5000VDC. We are the leading manufacturers and suppliers of the DC High Current Shunt Of high quality.